Major Sports Leagues aren’t the only ones getting all of their sportsbook ducks in a row. Early December, Sportradar announced a multi-year integrity partnership deal with NASCAR to monitor gambling activity for fraud across all three of NASCAR’s primary auto racing circuits – Monster Energy NASCAR Cup Series, NASCAR Xfinity Series, and NASCAR Gander Truck Series. Sportradar is a leading sports data service provider with more than 75 international sport body clients. But this isn’t their first US integrity deal as Sportradar monitors integrity for the NBA and NHL. Throughout the partnership, Sportradar will be using specialized sports betting fraud monitoring systems, as well as, an integrity program tailored to the auto racing league with wagering rules and policies. The system will be implemented for NASCAR’s stock car and truck races and the company will be looking at monitoring up to 100 NASCAR racing events in 2019. Sportradar’s Fraud Detection System (FDS) uses big data to track wagers in order to spot abnormalities and signs of fraudulent activity. However, this is not the company’s only offerings or first time partnering with NASCAR as Sportradar and NASCAR have worked together since 2015 distributing live timing and scoring data to 3rd party outlets. Executive to NASCAR Brian Herbst shared reassurances that through the partnership, “NASCAR will be able to more effectively implement its gambling offerings, following the historic race last October at Dover International Speedway in Delaware that became the first track to host on-site betting for a NASCAR race”. Director of Sportradar’s integrity unit Andy Cunningham also shared his supportive feelings about the partnership within the company’s press release. As NASCAR prepares for on-site betting like the Dover International Speedway in Delaware, Sportradar’s Education & Prevention Services will host on-site workshops for drivers, teams, stakeholders, and officials about the new policies to be in place in the coming new year. NASCAR has tried to increase its viewership and fan engagement throughout the years to no momentous success. 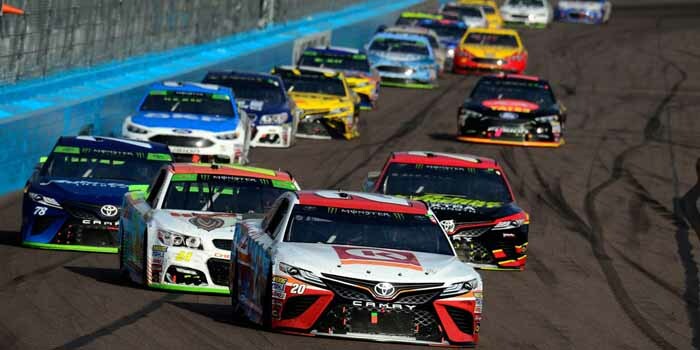 Therefore, the auto racing league is hoping NASCAR betting will provide an incentive for people to watch and remain engaged in the sport throughout the race’s duration. While NASCAR betting may be considered a niche market, the changing landscape of domestic sports gambling may increase the popularity of these wagering types.